The Medical Markets Group, headquartered in Phoenix, Arizona, is a full-service medical contract manufacturing company. We provide a full range of development and manufacturing services including product design & development, engineering, prototyping, and mold design & manufacturing. We have conventional and clean room molding capabilities, as well as secondary operations and assembly. 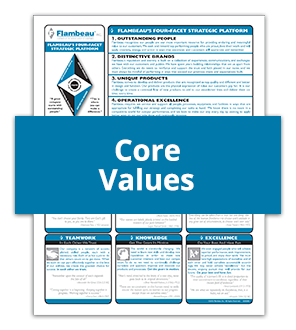 Our dedication to delivering quality product that meets stringent medical requirements through efficient and transparent communication with our customer makes Flambeau Medical Markets Group a leading supplier to the Medical marketplace. We serve Fortune 500 companies in cardiovascular and orthopedic device, women’s health, aesthetics, wound closure, infusion care respiratory care, fluid management and packaging market segments. Flambeau Medical’s Quality Management System QMS is FDA compliant and certified to ISO9001:2015, ISO13485:2016 and CFR21 820 standards. Our quality policy is to fully satisfy our customer’s expectations through a committed team effort from each associate that complies with our quality management system resulting in continuous improvement in every part of our business. 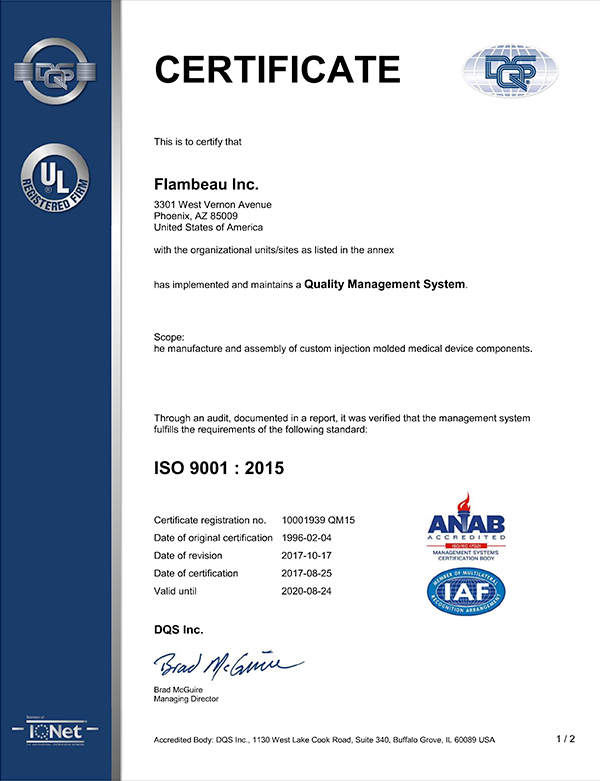 Flambeau QMS is fully integrated into our manufacturing operation and provides training for certified line leads and operators.